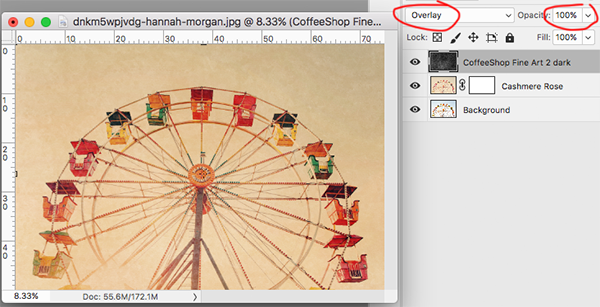 The CoffeeShop Blog: CoffeeShop "Fine Art Texture Set #2"! 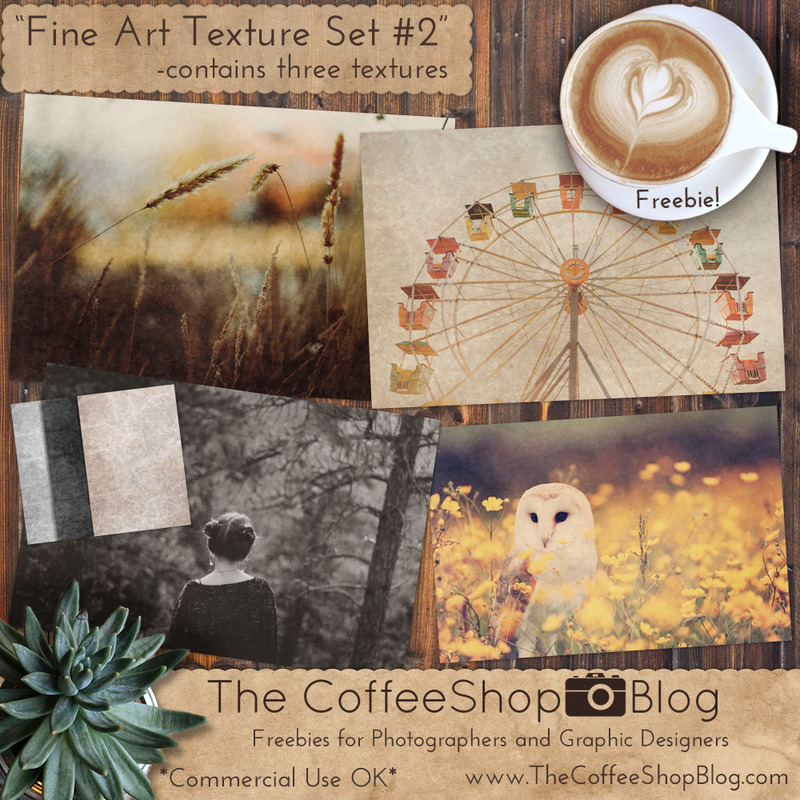 CoffeeShop "Fine Art Texture Set #2"! 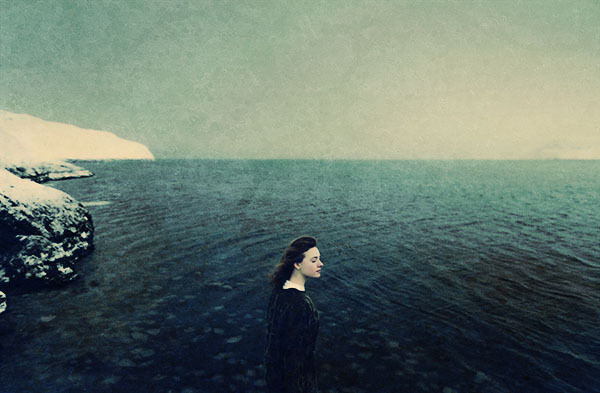 Today I have a set of three beautiful fine art textures. I usually use them in soft light, overlay, screen, or multiply blending mode. 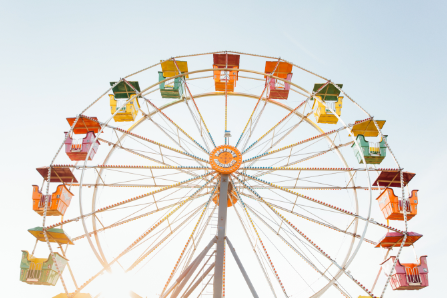 Images used in this post (field, ferris wheel, girl, owl, flowers, cold girl). 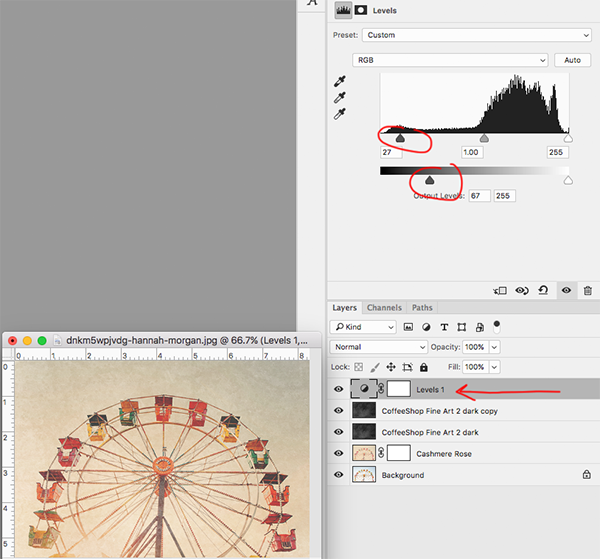 I will walk you through my edit of this ferris wheel image. I ran the "Cashmere Rose Mini" action on the image and made no changes. Then I added the dark fine art texture from this pack in Overlay blending mode, 100%. I copied the texture layer (Ctrl-J) and put this one in Soft Light blending mode, 50%. I wanted to soften the dark contrast (add a matte-effect), so I added a Levels adjustment layer and moved both the black shadow slider under the curve and the Output Levels black slider to the right. I hope you enjoy playing with these new textures! I would love to see your own edits on my Facebook page. 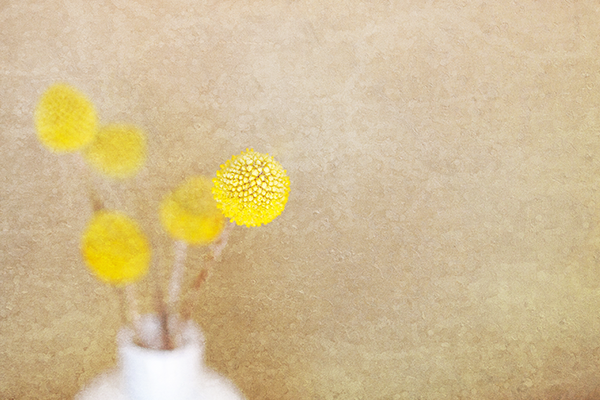 Download the CoffeeShop "Fine Art Texture Set #2". Isn't that ferris wheel image awesome?! I used it as my desktop screen background in the fall. Thanks for the links to the other images and of course for the great textures. I love, love, love your textures. That is so funny we both grabbed that image! I love Unsplash, their images are so stunning. And thank you so much about the textures. I love designing them!! !